Latex sole provides shock-absorbing comfort. 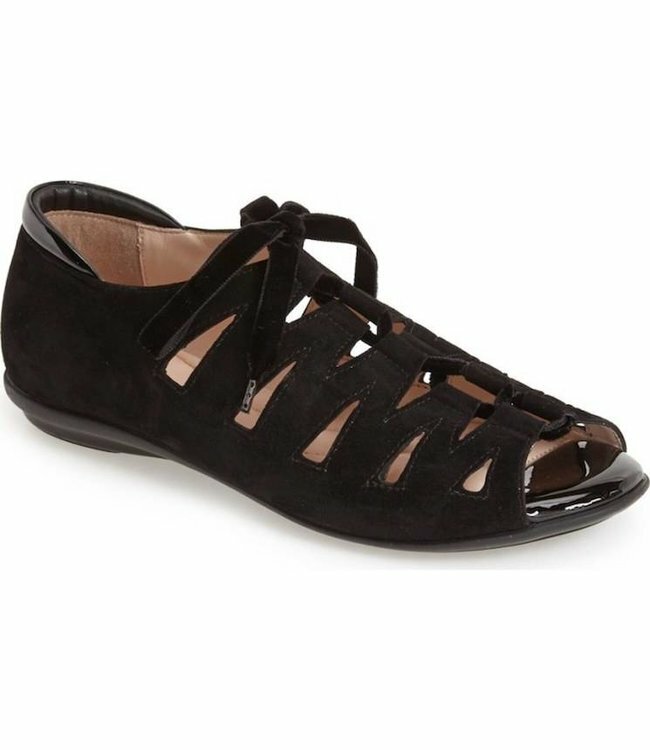 A charming sandal for a comfortable and stylish leisure outfit. Upper in soft Premium Italian suede with a luminous, sporty effect. Fully adjustable with a rich velvet lace. BeautiFeel exclusive memory foam cushioning insole.